People always ask me how I make my handwoven teddy bears so I am doing a series of blog posts explaining just that. Making each teddy bear can be a long process which takes approximately 20 hours per bear to make. The first step, before weaving commences, is to decide what sort of fabric to weave and what the teddy bear will look like. There is a huge selection of yarn to choose from and getting the right one is important as it will determine the whole look and feel of the finished teddy bear. 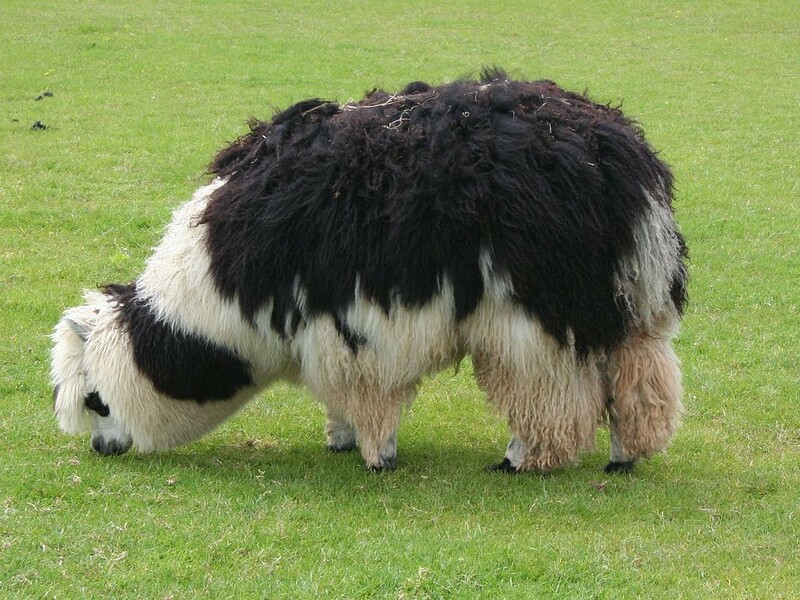 Some of the yarns I use include worsted wool, alpaca, silk and Tencel. Before I start I ask myself a list of questions; What yarn will I use? What colours will it be? How much fabric will I need? What structures will I weave? What is the final handwoven teddy bear going to look like? Inspiration for the bears can come from anything around me, it may be a pattern I see in nature or colours from a trend magasine. I also do commissions where the design of the bear is customer lead. I hand-dye a lot of my yarn so that I can get precise colours, each new colour needs to be tested and documented. Sometimes it can take three or four attempts to get the correct shade or hue of colour. When I am ready to dye the yarn for the handwoven fabric I accurately work out how much I need and arrange the yarn in to skeins (large rings of yarn) which enables me to dye the yarn evenly. 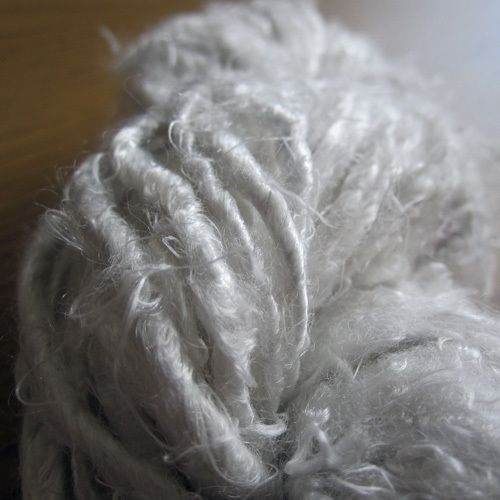 The yarn is scoured/washed before being dyed to remove any natural oils or coatings. Depending on the type of yarn this may involve washing with a detergent or boiling the yarn. The dyeing process is different for the different types of yarns but takes anything between one to two hours plus drying time. There are various ways of applying the dye and the most common method I use is creating a dye ‘bath’ made up of dye powder and fixing chemicals which the yarn is immersed into. 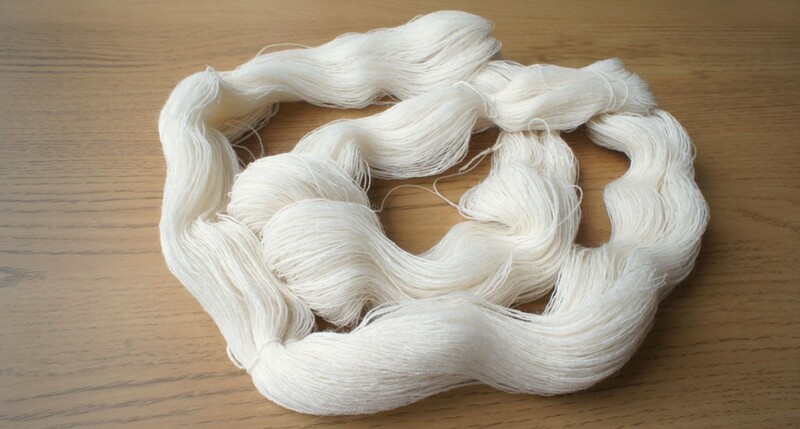 Other methods include dipping different areas of the yarn into different colours to create a graduated effect, tying areas to resist the dye or painting the dye on to the yarn using a brush. Geelong lambswool/angora mix yarn being dip dyed multiple colours.